The selection process also contrasts with the Bank’s discourse on good governance and the need for borrowing states to adequately represent the needs and opinions of all their citizens, particularly those with least influence. To cite one example, in July 2018 the Bank launched the $12 million Open Governance Partnership Multi-donor Trust Fund, which is meant “to increase government transparency, improve accountability, and strengthen citizen engagement as well as government responsiveness.” The Bank’s 2014 Strategic Framework for Streamlining Citizen Engagement in World Bank Operationsalso indicates an intention to improve its own accountability to those impacted by its programmes and activities. Yet civil society stresses that much remains to be done, with persistent concerns about the unwillingness of the Bank to provide adequate remedy to communities affected by its projects, its continued lack of a human rights policy, disregard for the adequate resettlement of populations displaced by Bank-financed projects, and erosion of environmental and social safeguards (see Observer Winter 2018, Autumn 2016, Spring 2015). The hypocrisy identified by Stiglitz, Bourguignon and Stern in 2012 seems an apt description of the contrast between the above-mentioned initiatives and the process used to select the Bank’s new president. The process, particularly in light of the allegedly forced withdrawal of the sole candidate from the Global South, to which Bank activities are limited, is also contradictory to the Bank’s support for the Sustainable Development Goals (SDGs) and SDG 16 in particular, as it aims to “build effective, accountable institutions at all levels.” Also noteworthy is the contradiction with SDG 10, which aims to reduce inequality between and withing countries. 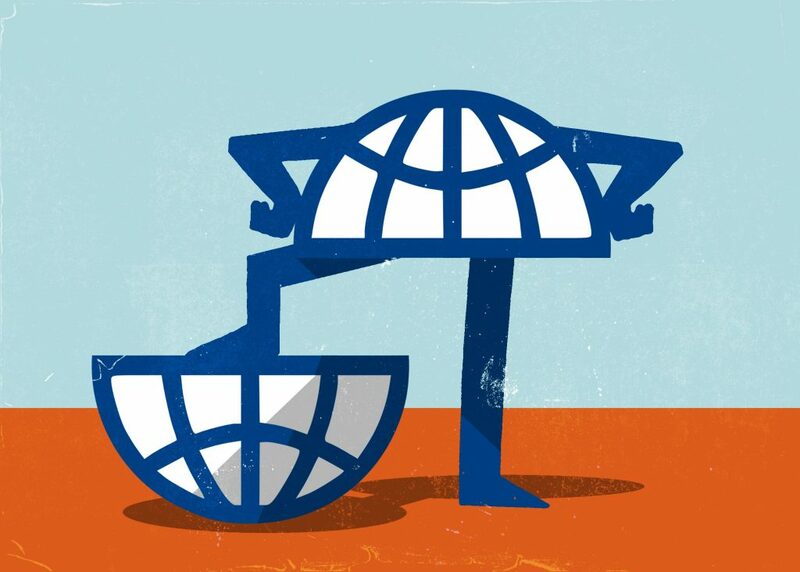 SDG 10.6, in particular, commits states and international organisations to, “Ensure enhanced representation and voice for developing countries in decision-making in global international economic and financial institutions in order to deliver more effective, credible, accountable and legitimate institutions” (see Observer Spring 2019). Frustration with the lack of input and legitimate consultation on the part of the international community – including the World Bank – led to the establishment of the g7+ group of fragile states in 2010, whose motto is “nothing about us without us.” Persistent concerns with the lack of adequate diversity at senior managerial levels at the Bank and Fund were also reflected in the G24’s Spring 2018 Communiqué, which called on both to strengthen “efforts toward addressing the severe under-representation of some regions and countries in recruitment and career progression, including at the managerial levels,” and highlighted the importance of improving staff diversity (see Dispatch, Annual Meetings 2018). While CSOs and other critics of the selection process understand that the World Bank president is not responsible for the everyday operations of every mission, they maintain that the manner of their selection and the message sent by their background can be expected to impact the priority given by staff to the integration of the perspectives of developing state partners and ‘beneficiary’ communities into Bank programmes. Civil society argues that the internalisation of the respect for the voices of borrowers and the willingness to adapt country programmes to context-specific situations require leadership from the highest levels of the World Bank’s hierarchy, and not least, its president. The reforms required of the selection process must now wait at least another five years. Those interested in ending the ‘gentleman’s agreement’ must now turn to the next IMF leadership contest in 2021. This piece was originally published on 6 April as part of the Bretton Woods Project Observer Spring 2019. This entry was posted in Candidates, Take Action, The Process by worldbankpresident.org. Bookmark the permalink.